Your tooth is more prone to fracture immediately after endodontic treatment. You should chew on the other side until your restorative dentist has placed a core build-up and a protective restoration, usually a crown. If your tooth’s strength is seriously compromised, Dr. Shuping or your restorative dentist may place a post and core build-up inside the tooth. Your restorative dentist and endodontist will determine the appropriate restoration to best protect your tooth. Lower teeth and nerve injury. There is a slight possibility that nerve injury can occur during root canal surgery to the lower posterior teeth. Dr. Shuping is trained to assess this possibility prior to treatment and will advise you accordingly. 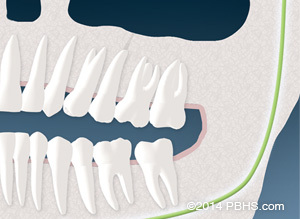 For lower posterior teeth, the root tips may be near a nerve that supplies feeling to the lip, chin and gums. 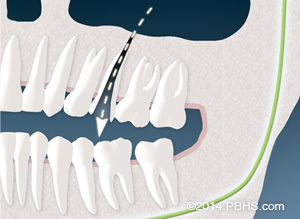 Your endodontist is trained to design your surgery to minimize the chances of damaging this nerve. Rarely, this nerve can become irritated during the process of surgery. In these cases, when the local anesthesia wears off, you may experience tingling, altered sensation or, in rare cases a complete lack of feeling in the affected tissues. Should this occur, it is usually temporary and will resolve over a period of days, weeks or months. In rare cases, these changes can be permanent and/or painful.